Kuala Lumpur – New list of exhibitors like the Diamond Aircraft Industries GMBH from Austria, Embraer Defense & Security (Brazil), Armscom OU (Estonia), Kanwa Asian Defense (Hong Kong) and Damen Shipyards Gorinchem (Netherlands) will make a difference at LIMA’17 which starts on 21st March. These exhibitors are amongst the 10 new countries adding to the 26 regular nations participating in the LIMA series that started in 1991. The exhibition this time occupies a larger space of 119,209 sqm compared to 104,209 sqm in LIMA’15. The participation of the 21st Century Asia Arms Race (Philippines), Polska Grupa Zbrojeniowa S.A (Poland), Armada International (Thailand) and Ukrspecexport (Ukraine) will also help to increase the number of visitors during the event. The newcomers joining the high impact exhibition are Austria, Brazil, Brunei, Estonia, Hong Kong, Phillippines, Poland, Thailand, The Netherlands and Ukraine. With the 40 percent increase in space participation and expanded an additional 6,000 sqm for the maritime segment in Resorts World Langkawi – compared with LIMA 2015 – Russia will be the largest exhibitor followed by the United States, Germany and Britain. LIMA ‘17 will also witness an array of Unmanned Aerial Vehicles (UAV) and Autonomous Underwater Vehicle (AUV) on display and this includes the United States’ Air Force MQ-1 Predator and Navy MQ-8 Fire Scout as well as Ukraine’s TBN UAV. The exhibition attracts 377 delegations and world’s top decision makers across 41 countries. It provides unparalleled access to market insights and opportunities to promote and enhance companies products, as well as strengthen brand presence in the region. LIMA also presents world-class exhibitions as well as spectacular shows and demonstrations for a highly engaging event for businesses, buyers and members of the public. 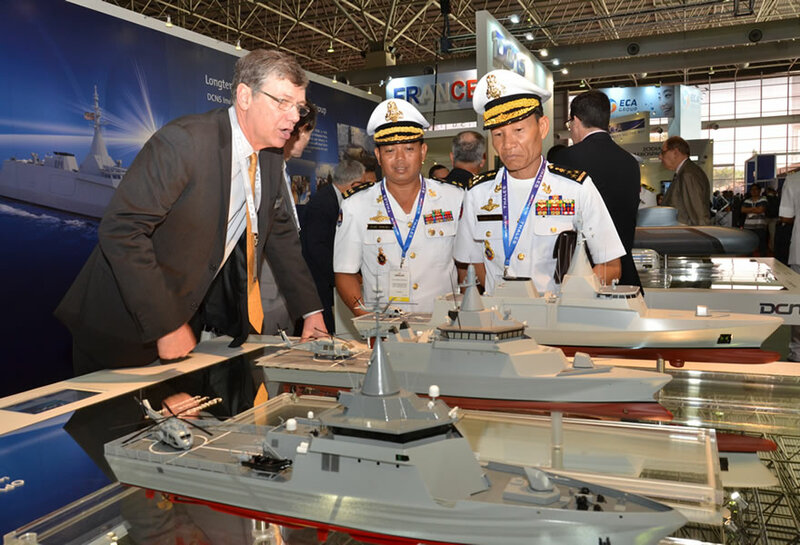 LIMA’17 attracts more than 500 companies and over 40,000 trade visitors from all over the world. Network are being connected with top executives and specifiers from regional airlines, government officials, airport owners and operators, MRO companies and component manufacturers from the region. Heya i’m for the first time here. I came across this board and I find It really useful & it helped me out a lot. I hope to provide one thing back and help others like you aided me. Can I just say what a aid to search out somebody who really is aware of what theyre speaking about on the internet. You undoubtedly know how you can deliver an issue to gentle and make it important. Extra people must read this and understand this facet of the story. I cant consider youre no more popular since you definitely have the gift.